"The U.S. merchandise trade deficit with China set a record through May, hitting $152,237,500,000 for the first five months of 2018, according to data released Friday by the Census Bureau. 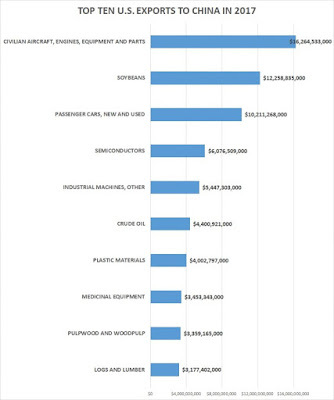 From January through May, the Census Bureau reports, the United States exported $52,902,300,000 in goods to China while importing $205,139,800,000 in good from China. 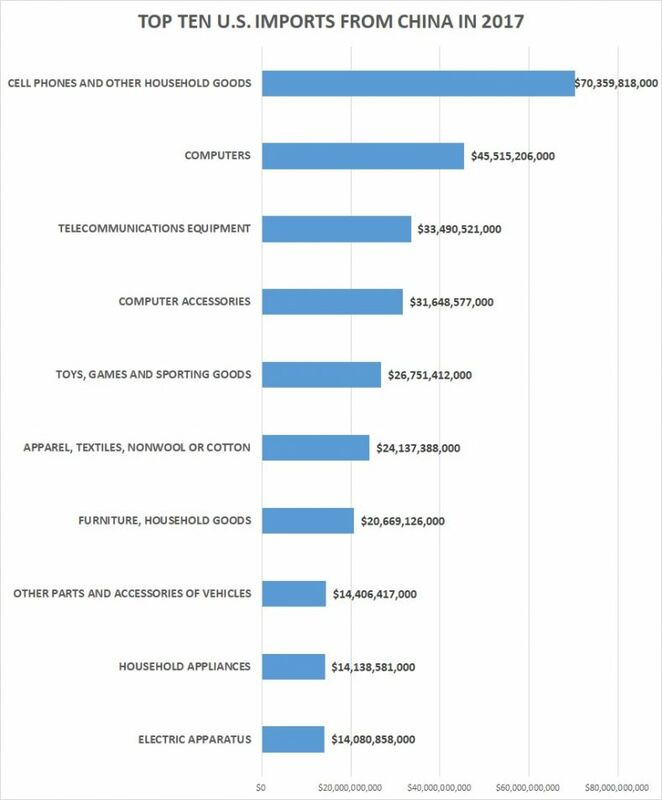 Before this year, the largest merchandise trade deficit with China in the first five months of the year was in 2015, when it hit $148,499,390,000 in constant May 2018 dollars (adjusted using the Bureau of Labor Statistics inflation calculator). The month-by-month U.S.-China merchandise trade numbers going back to 1985 are posted on the Census Bureau’s website. According to the Census Bureau, the last month that the U.S. ran a merchandise trade surplus with China was April 1986. That month, the U.S. exported $318,900,000 to China, imported $264,900,000 from China—and ran a monthly surplus of $54,000,000. In the 385 straight months since then, the U.S. has run a merchandise trade deficit with China. In 1985, the first year the U.S.-China trade balance is reported by the Census Bureau on its website, the U.S. ran a $445,030,000 merchandise trade deficit in January through May (in constant May 2018 dollars). The 2018 January-through-May U.S. China trade deficit of $152,237,500,000 is about 342 times that. 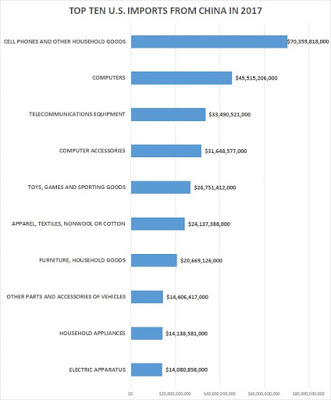 Through all of 2017, according to the Census Bureau, the top products the U.S. imported from China (by dollar value) were cell phones and other household goods ($70,359,818,000); computers ($45,515,206,000); telecommunications equipment ($33,490,521,000); computer accessories ($31,648,577,000); toys, games and sporting goods ($26,751,412,000); apparel, textiles, nonwool or cotton ($24,137,388,000); furniture, household goods ($20,669,126,000); other parts and accessories of vehicles ($14,406,417,000); household appliances ($14,138,581,000); and electric apparatus ($14,080,858,000). 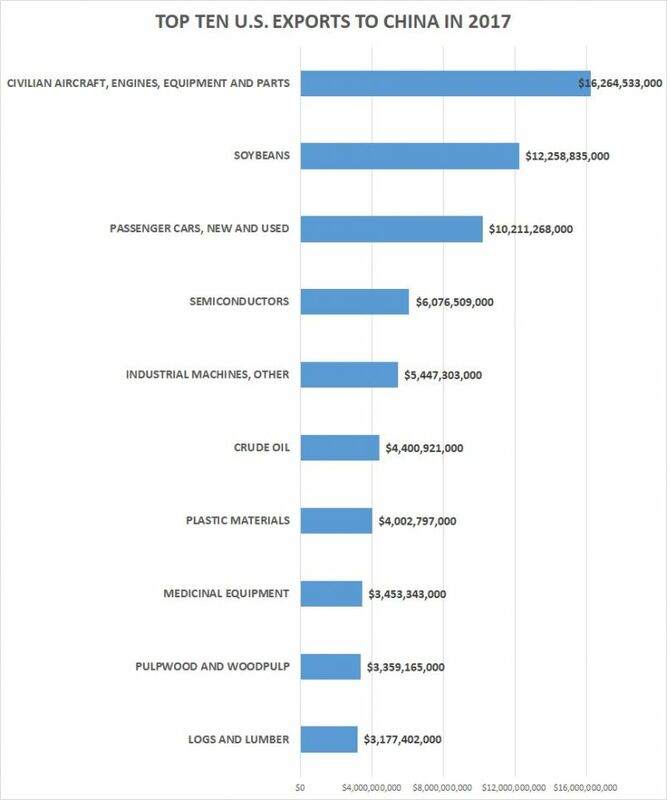 The top products the U.S. exported to China were civilian aircraft, engines, equipment and parts ($16,264,533,000); soybeans ($12,258,835,000); passenger cars, new and used ($10,211,268,000); semiconductors ($6,076,509,000); industrial machines, other ($5,447,303,000); crude oil ($4,400,921,000); plastic materials ($4,002,797,000); medicinal equipment ($3,453,343,000); pulpwood and woodpulp ($3,359,165,000); and logs and lumber ($3,177,402,000)."